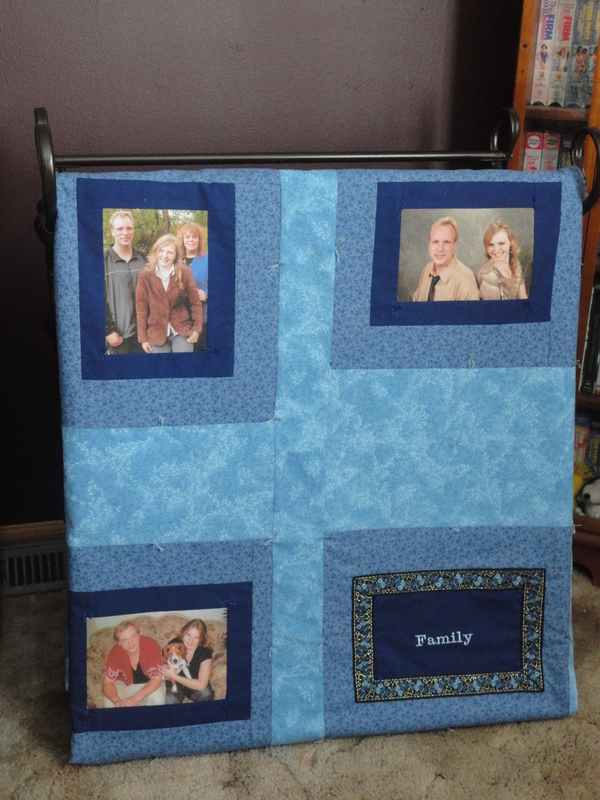 Photo Memory Quilts! The Perfect Gift For Everybody! This is the perfect personalized gift for loved ones. 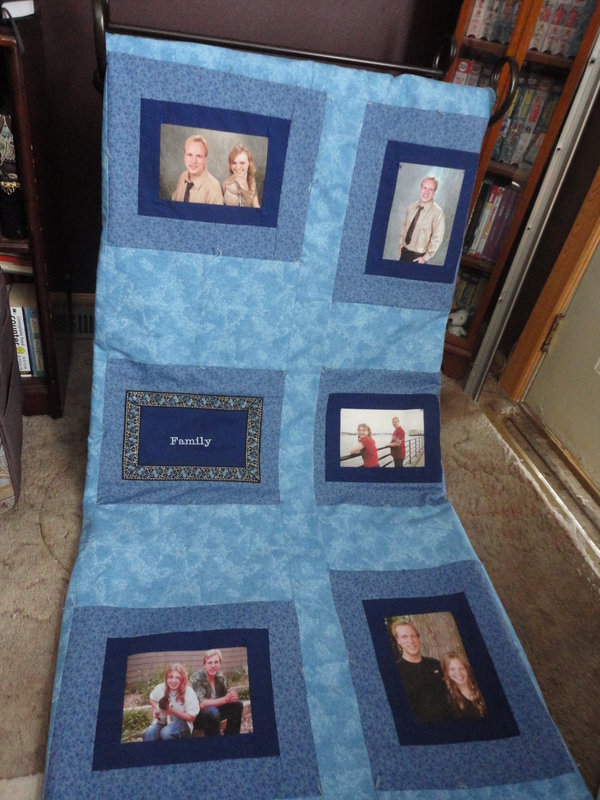 Photo memory quilts are made to order for babies, graduations, weddings, engagements, anniversaries, pets, themes, and more. Check out our PRICE LIST page for sizes and prices. Beautifully sewn and our photo printing is done with non-fade ink. 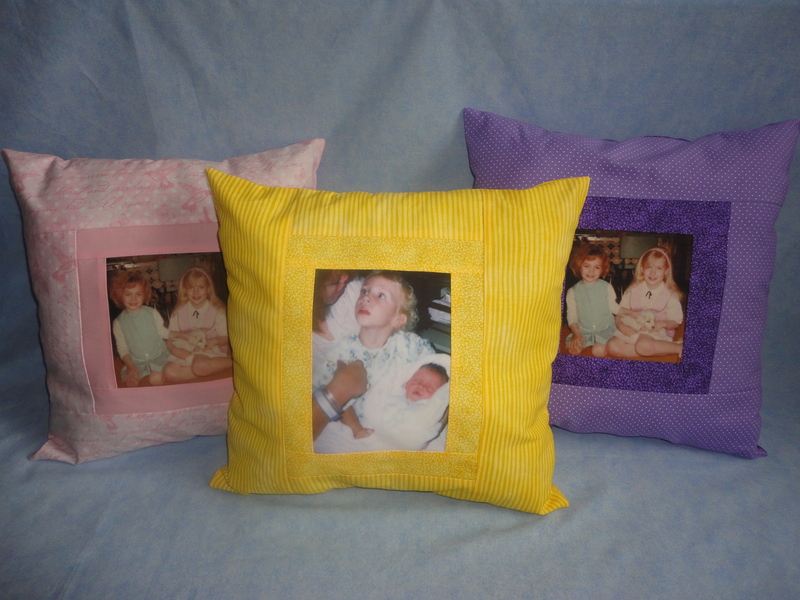 Or, to place your order click here: Connie’s Keepsake Cafe/Beloved Memories. Contact us at ConniesKeepsakeCafe@gmail.com with your questions and details about color, pattern and theme. 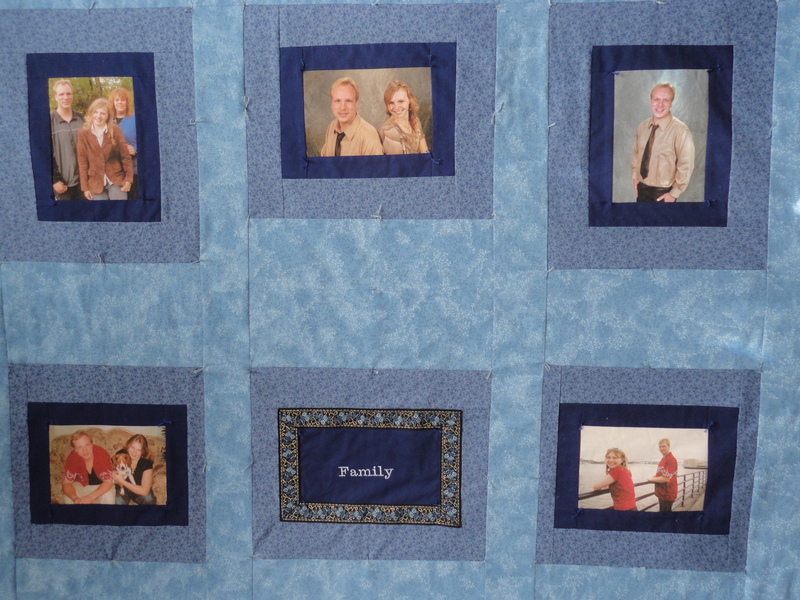 For a small additional charge, we can embroidery a name, date or phrase to personalize your Photo Memory Quilt even more! Preserve memories and smiles with this special gift!